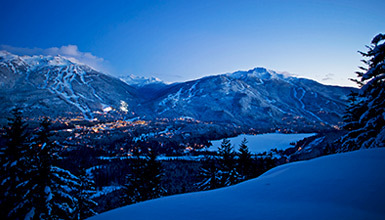 Nearly 10,000 people live in Whistler and a large number of residents have pets such as dogs. 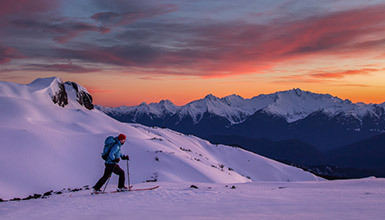 As a result, Whistler offers excellent pet-friendly resources including miles of trails, dog beaches and parks, pet-friendly hotels and condos and services including boarding, grooming and walking. Many places in town allow pets. Please note that not all rooms in each property can accommodate pets - it is important to confirm whether this option is available at time of booking. Speak to our local travel agents to help find the best option for you and your pet. Call 1.800.944.7853. For cozy creature comforts these properties are an excellent choice for you and your pet. Some are located within a tennis ball throw to the lifts, while others are spread around the outskirts of the village and closer to some of the resident trails. These properties will provide creature comforts for humans and animals alike, located in and around the Village for convenience. In or near Whistler Village, these fine properties welcome pets while they pamper people. These hotels offer posh accommodation for humans and a warm place to curl up for your best friends. Most properties charge extra cleaning fees for pets which vary in cost. Check the property specific info for these charges or ask your Travel Consultant. Properties ask that you do not leave your pets inside the rooms unattended. It can create problems with housekeeping and some dogs will bark. Please check with individual properties for details as some will allow you to kennel your pets while out of the room. In room sitting services are also available in the resort. Whistler is a leash law community which means generally on-leash for parks and trails. There are a number of off leash areas available for dogs at Whistler's lakes, so that pets can cool off as well as the humans. Alta Lake, Lost Lake and Alpha Lake all have designated off leash areas. Some parks allow pets off leash early in the morning and in the evening. Dogs are welcome to explore the Village with you, but must be on a leash. Some shops are dog friendly - please inquire before entering. For more information about dog friendly hikes and maps of the area, contact the Whistler Visitor Centre. As if you neened more proof that Whistler is dog crazy! Whistler has special events for canines and their companions all year long — some even sell-out! Every year since 1997, Whistlerites and visitors attending the World Ski & Snowboard Festival in late April have been treated to a fun and exciting day of canine-related events and activities. Since 1998, canines of all stripes have been invited to lead their owners, in finest frockery, in the 200 strong Dog Parade. Exhibitions, demos, and competitions organized by Canine Energy, guarantee some quality master-canine bonding. All proceeds go directly to the WAG Animal Shelter. WAG hosts this annual, black tie fundraiser with a dinner for canines and their escorts. It is a fun-filled evening that includes a fabulous dinner for dogs and owners, wonderful BC wine, and a charity auction. Reserve tickets well in advance as this event sells out every year. WAG hosts other activities throughout the year, such as Mother's Day Brunch, Father's Day Brunch, dog washes, Halloween parties, bake sales, and photos with Santa during the holiday season. *It is the responsibility of the owner to confirm pet services providers hold appropriate insurance and licenses for the services advertised. Whistler gets a lot of snow in winter - small dogs may have difficulty getting around in unplowed areas or require a coat to stay warm. From taking time out to play to being good adventure buddies and knowing how to completely relax, dogs have plenty to teach us about living well.